They can be set to move with the music, or set to fade through a specific sequence. Because the dancefloor lights are computer controlled, they can be color mixed, or washed with “full color” to virtually any color imaginable. During Weddings, they can be set to full White Wash to help illuminate the dancefloor during specific events such as the Bouquet Toss or Garter Removal. 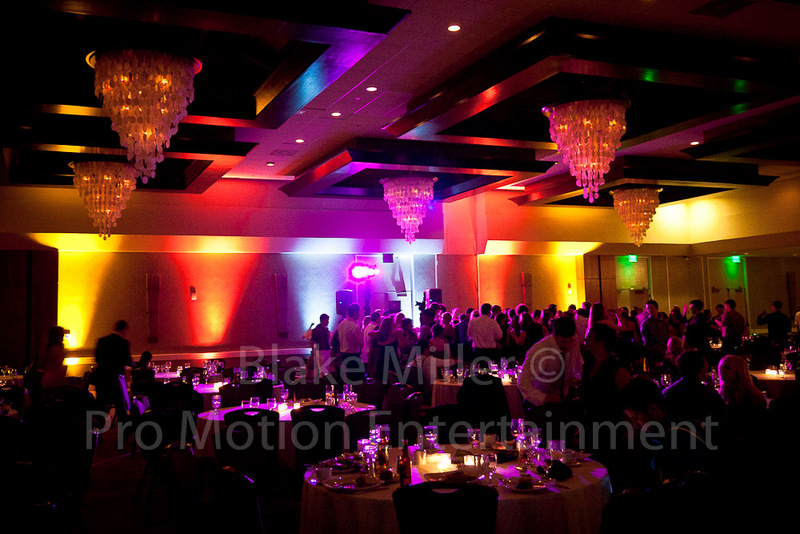 Below is an example of dancefloor lighting at a College Formal. Some pictures of the same College Formal. NOTE: the colored lighting along the back wall is Uplighting. The dancefloor lights are setup on the light tree behind the DJ Table.